The pink ribbon, an international symbol today of breast cancer awareness that was started in 1991 by the Susan G. Komen Foundation when they handed out pink ribbons at their race for breast cancer survivors. In 1992 the pink ribbon was adopted as the official symbol for National Breast Cancer Awareness Month. 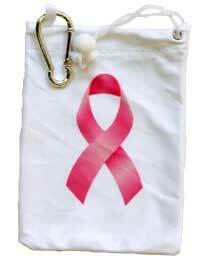 Show your support for those fighting breast cancer with our Pink Ribbon golf tee bag. 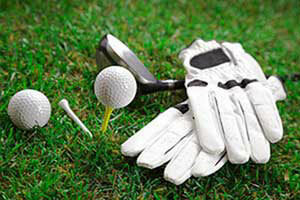 Having a golf tournament to raise money for breast cancer research? Contact us to buy in quantity as a golf tournament giveaway or as prizes.